This structure is designed to streamline all the ministries of WBC in a simple and clear way that disciples each follower of Jesus to full maturity in Him. It is important to not that this structure is not intended to be accomplished in sequential steps and then checked off as completed. The best way to view this is to balance your journey at WBC equally among all the growth points found in the structure. 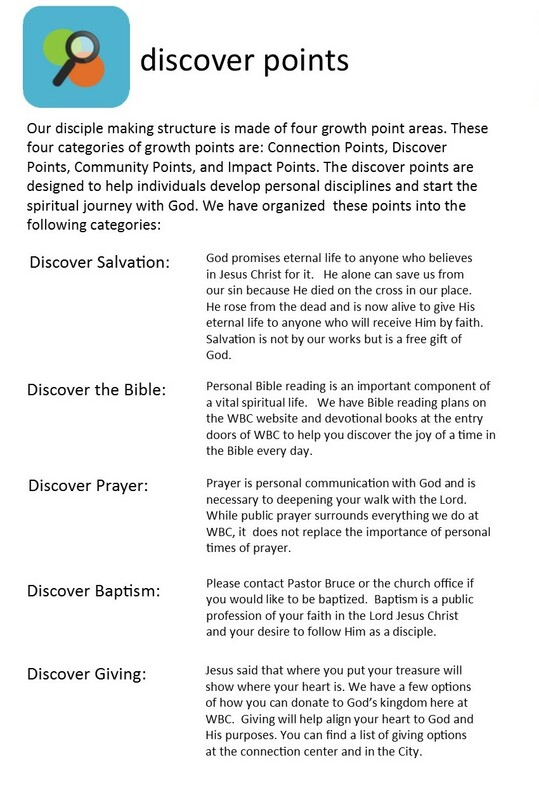 Here is an overview of the growth point structure for our discipleship ministry at WBC. Staying connected to God and what’s happening at WBC is an important part of being a disciple of Jesus. 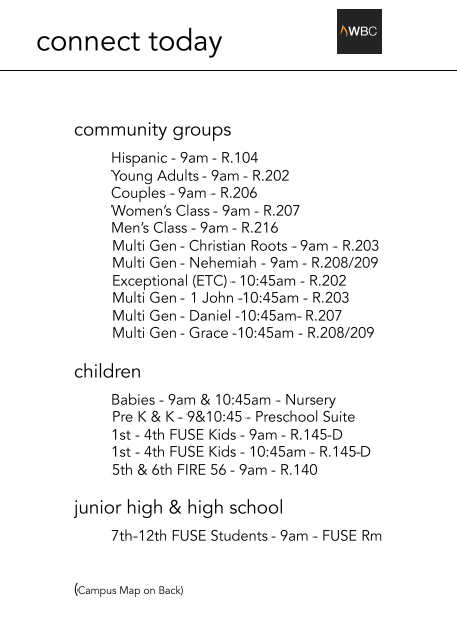 Here are our current connection points. Discover the pathway to strengthening your walk by taking individual steps towards spiritual growth in your life. These are important steps of being a follower of Jesus Christ. Here are our current Discover points. The Christian life was not meant to be lived alone. 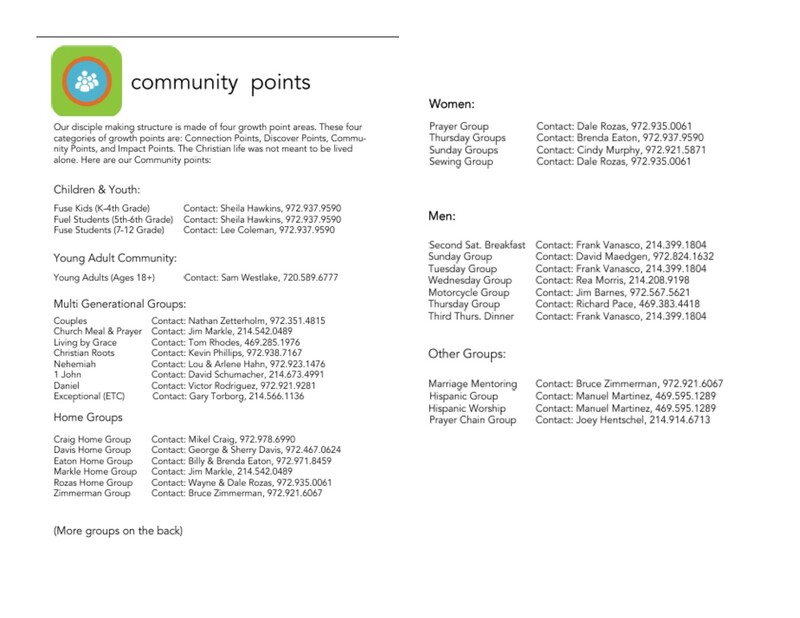 Here are our current community points. Growing together in community involves loving and serving others. Here are our current impact points. 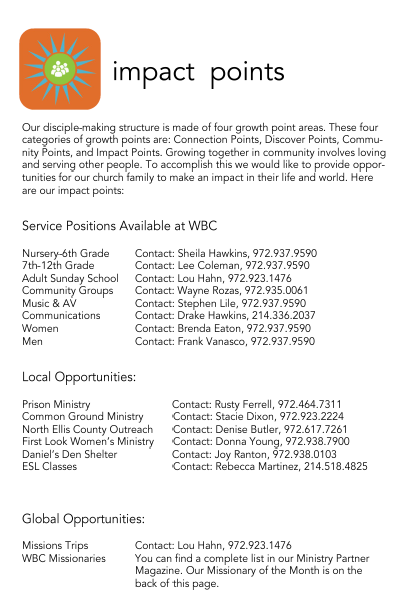 CHECK THE SUNDAY BULLETIN FOR NEW & UPCOMING GROWTH POINTS.